I can’t wait to do this. Best thing about it is flexibility, if you wanna use the box for something else, simply change the tag and clip on something else! 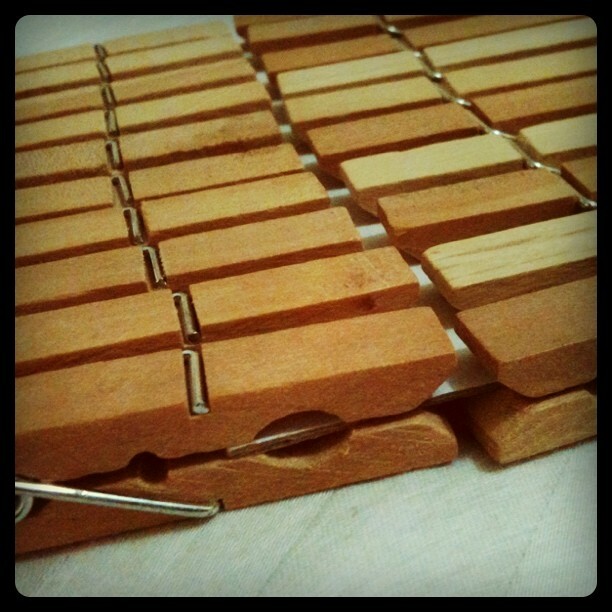 Check out the clothespins that I just bought from Ace Hardware Pasaraya for a staggering Rp 21,800 (about 2.50 USD). Glue gun check! Cream board paper check! Oh… wait… I don’t have the baskets yet! Argh…. Sigh. I will just have to keep you posted. As you know I don’t impulse-buy. I plot, plan, budget and make sure that it fits with everything I have, will last, not allergic to it… etc. etc. You get my drift… it might be a while till I get those baskets…but it’s going to happen! And do drop me a line to let me know what you think of Pinterest! Questions are welcome too! P.S. Don’t you think this project would be better if the cards were laminated for longer use? I think I may have to get myself one… Got the idea from The Happiness Project book. Wow, that’s really cool!! I will have to go to ACE after I get home!! I love the look of the wooden pins! 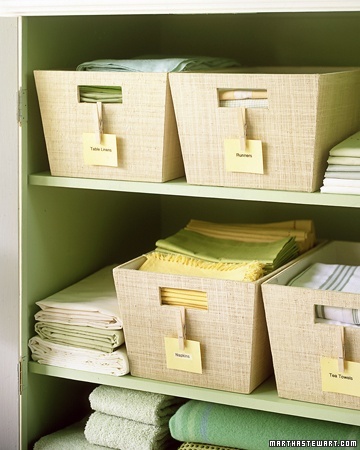 I can’t wait to see after you organize your closet with them! Haha… isn’t it so exciting? So many little projects found on Pinterest! I practically don’t wanna leave the house any more so that I can finish them all! LOL! interesting! oh my we gonna move to our very own crib soon, looks like i probably gonna do the same DIY 😉 thank you for sharing! You are welcome Nurulhuda! How exciting to move to your own place! I hope my pinterest DIPLO DIY board and DIPLO HOME INSPIRATION gave you lotsa ideas. Good luck!